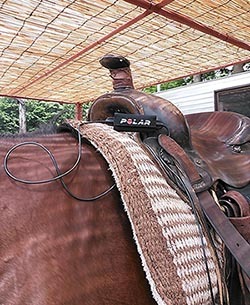 Abstract : Observing heart rate of horses, we studied whether non-human mammal reacts to the shiatsu treatment in the same way as the human body does. As the result, the significant decrease in heart rate due to the shiatsu treatment to the anterior cervical region was observed. 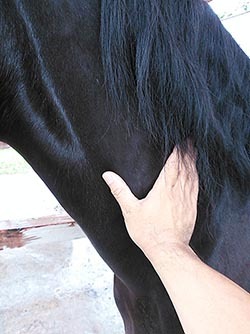 Since the results of past studies regarding shiatsu treatment including case reports are corresponding to the physiological mechanism of animals’ cataleptic freezing reaction, it leads to a hypothesis that the shiatsu treatment to the anterior cervical region aims to secrete glucocorticoid by stimulating HPA axis.